Depression has been regarded by the UN World Health Organization (http://www.who.int/mediacentre/factsheets/fs369/en/) as the three major diseases of the new century. It lines up with cancer and AIDS to devour people’s physical and mental health. According to the UN World Health Organization(http://www.who.int/gho/mental_health/en/), there are at least about 50 million people with depression in Asia and their numbers are on the rise. By 2020, depression and heart disease will have become the top two diseases that affect human lives. According to statistics of National Health Promotion Administration (https://www.hpa.gov.tw/Home/Index.aspx), the prevalence rate of depression in Taiwan is about 7.3%. In other words, about 1.5 million people in Taiwan suffer from depression at present. This exemplifies how serious the problem of depression is. However, treatment of depression and other mental illness is not included in health insurance in Taiwan. A single therapy session can cost about 2500-3000 NTD (about 75-100 USD). This is where we, W.A.R.M. (Women Anonymous Reconnecting Mentally), can help. 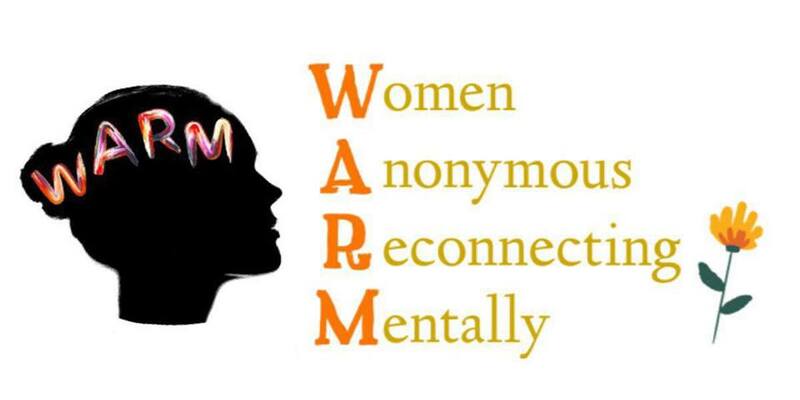 W.A.R.M is a weekly Sunday meeting where women with similar states of mental health can come together and share their predicaments. W.A.R.M. (Women Anonymous Reconnecting Mentally) is the FIRST support group in Taiwan to support women with these mental health issues, which are so stigmatized by society. It is almost 2018, and we are the FIRST AND ONLY mental health support group in the entire country; this shows exactly how little help there is for mental health issues here in Taiwan. We have been covered by, or currently being written by all the major news papers in Taiwan, which shows the dire need of this social cause, people want change, and the government needs to wake up. The weekly Sunday W.A.R.M. meetings are based in Taipei, we are not “sessions” or “group therapy”, also in no way intended to be viewed as providing any form of “professional treatment” to fix people. The participants can choose to remain anonymous and there will be no formal sign up. The W.A.R.M. meetings style are roughly based on the AA meeting format – although without any steps, agenda or programs. W.A.R.M. meetings are just a safe platform for women who are struggling in life to share and connect with each other, without any pressure, judgement or expectations. We are providing a safe space for women to talk and listen to their individual predicaments. We are building a support network in order to encourage and empower women by having these weekly group meetings. Within our growing support network, we see how women unite and empower each other. As women, we have the guts to be vulnerable, and by being vulnerable, exchanging life experiences, we bond over the similar hardships that we went through. We welcome all ladies with any background to join our support network. Wherever you are, you are not alone.